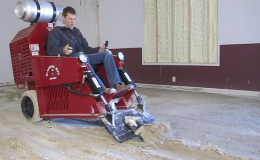 We are Derrick Nelson and Dale Nelson, and Midwest Grinding is your premier source for professional quality concrete grinding, polishing and sealing. 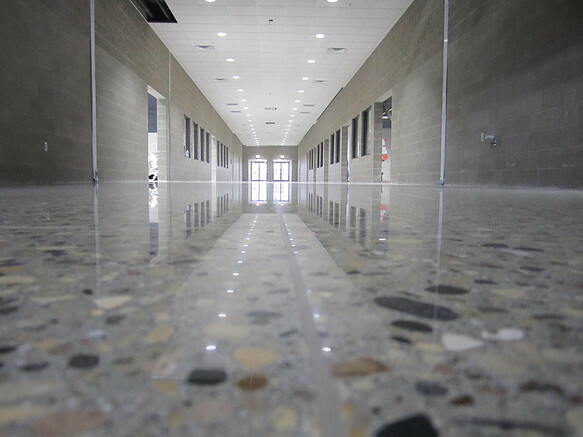 Polished concrete floors are not only very economical they are also striking in appearance. The exposure of the aggregate in the concrete unveils a look of stone. 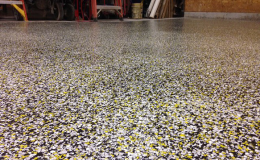 There are a variety of colors available to modify the color and look of the polished floor. Depending on the degree of reflectivity and shine, there are various levels of sheen. Polish concrete’s superior durability has made it a top finish for retail stores, warehouses, office facilities as well as homeowners. It is virtually maintenance free. 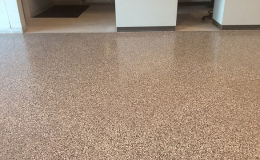 Polished concrete has the lowest cleaning per foot cost of any floor. Contact us today to find out what our exciting concrete products can do for your home or business.